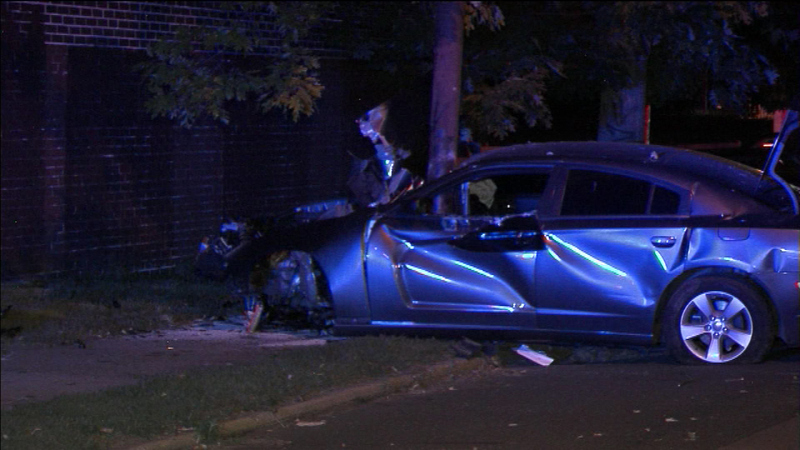 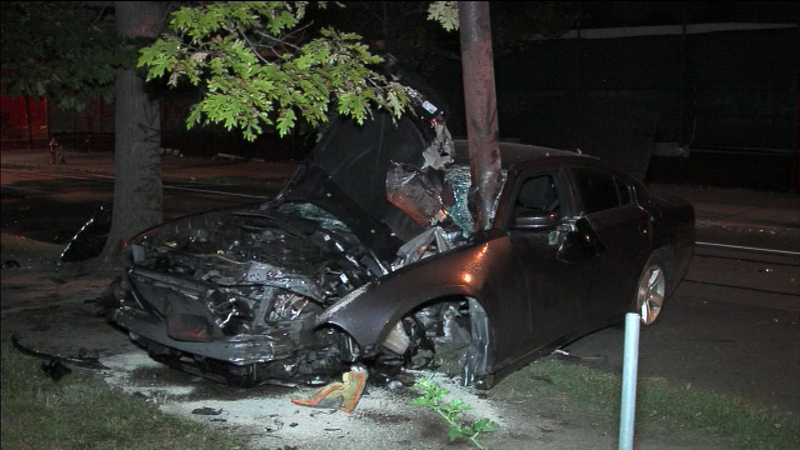 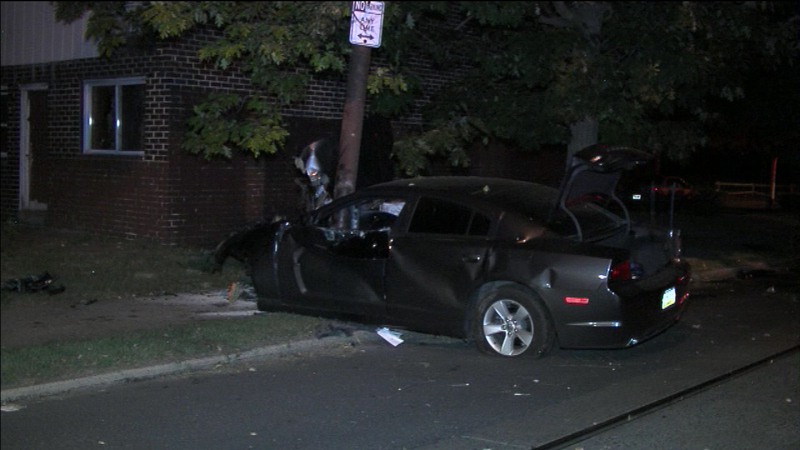 A young man is hospitalized after crashing into a utility pole in North Philadelphia. 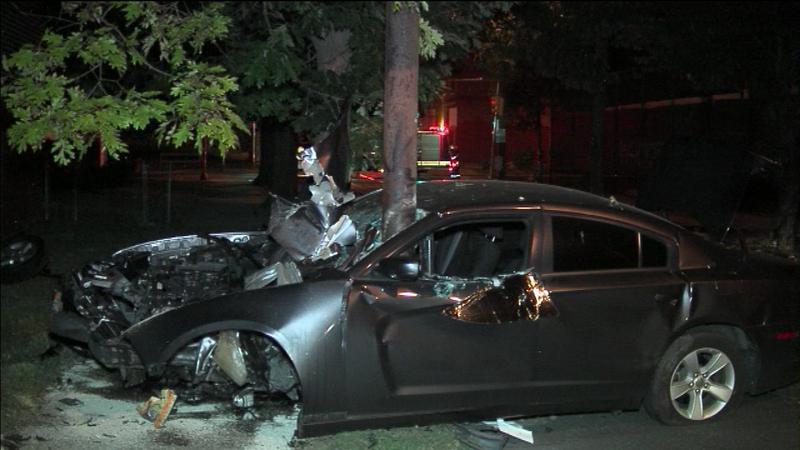 NORTH PHILADELPHIA (WPVI) -- A young man is hospitalized after crashing into a utility pole in North Philadelphia. 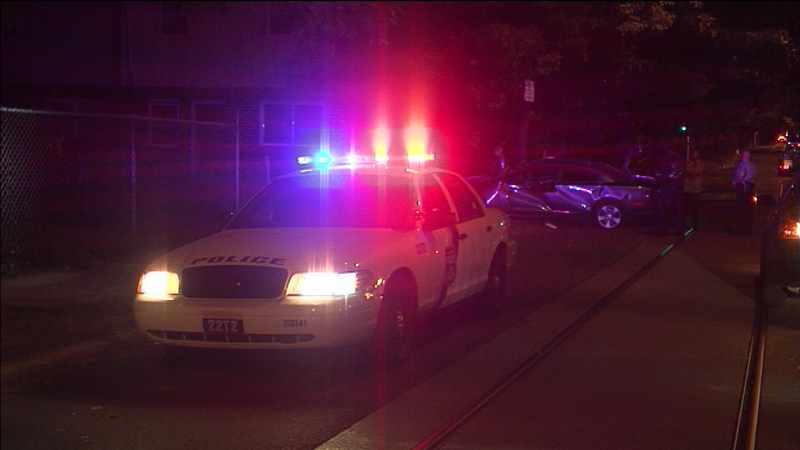 The crash occurred around 2:45 a.m. Sunday on North 11th Street and West Susquehanna Avenue. 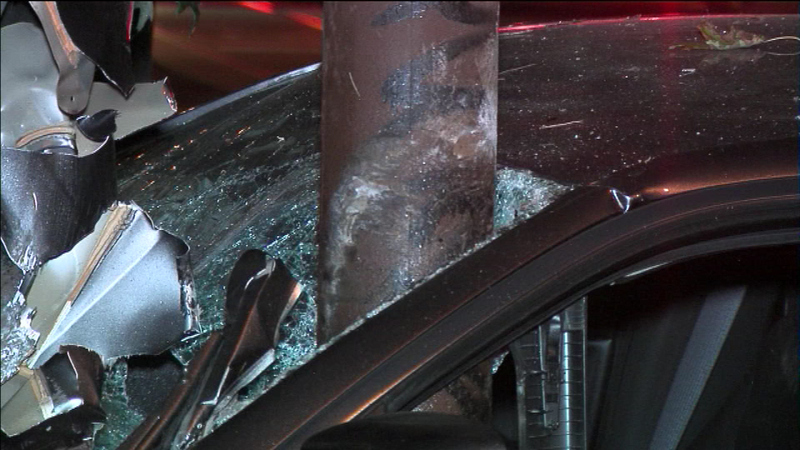 The car struck a pole that supports a SEPTA trolley power line. 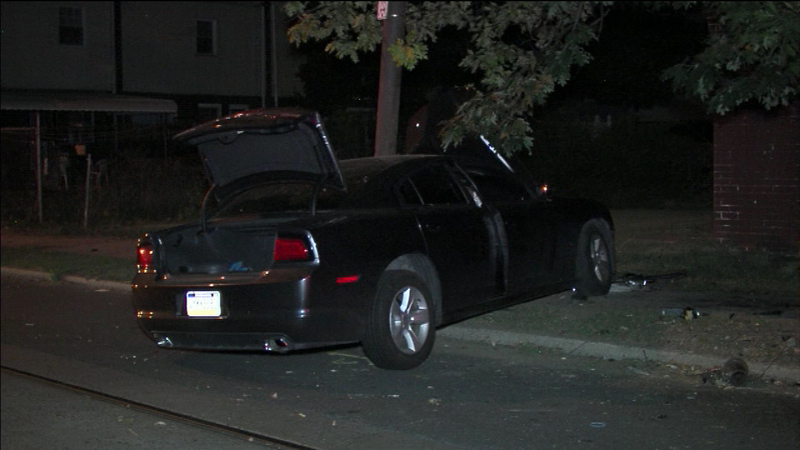 The man, described to be in his 20s, was taken to Temple University Hospital for head trauma and injuries to his legs. 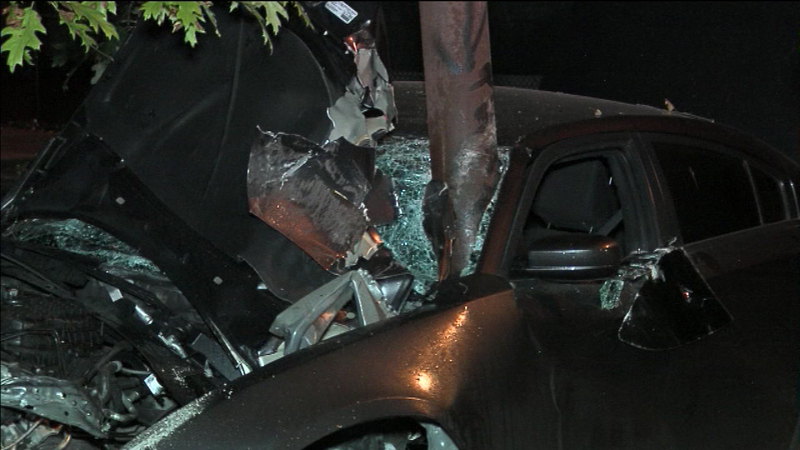 Police are trying to determine what caused the accident.